The most exciting thing for me is crossing that bridge between something we know is real and something that is extraordinary. The thing for me has always been how you cross that bridge. 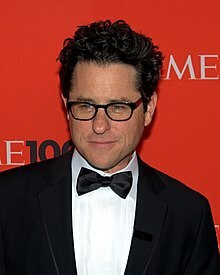 Jeffrey Jacob Abrams (born 27 June 1966) is an American director, producer, writer, and composer known for his work in the genres of action, drama, and science fiction. I do honestly feel honored to be part of this group. The experience I had seeing Star Wars for the first time was mind-blowing. Eleven is a great age to have your mind blown. I will never forget that feeling of seeing "Long time ago, in a galaxy, far, far away" fade out. It was the first time a movie made me believe in another world that way. It was nothing that I think any one of us took on because it was a gig that was available. It was something that felt like a true passion and something that every single person brought much more than any of us could have expected. … I do honestly feel honored to be part of this group. I’ve always liked working on stories that combine people who are relatable with something insane. … The most exciting thing for me is crossing that bridge between something we know is real and something that is extraordinary. The thing for me has always been how you cross that bridge. Star Wars Episode IV: A New Hope (1977) is probably the most influential film of my generation. … That movie was the personification of good and evil and the way it opened up the world to space adventure, the way westerns did to our parents' generations, it left an indelible imprint. So, in a way, everything that any of us does is somehow directly or indirectly affected by the experience of seeing those first three films. When I was a kid and saw Star Wars: Episode IV - A New Hope for the first time, it blew my mind and around the same time, I had friends who were huge fans of Star Trek and I don’t know if I was smart enough to get it, or patient enough. What I loved about Star Wars was the visceral energy of it, the clarity of it, the kind of innocence and big heart of it. Star Trek always felt a little bit more sophisticated and philosophical, debating moral dilemmas and things that were theoretically interesting, but for some reason I couldn’t get on board. It really took working with all these guys and actually working on Star Trek for me to fall in love with that. We went from the silent era to the sound era, and now we’ve done it again. Now that we’re digital, I assume we will stay digital for at least 50 years. Everybody says, "Oh, you’re going to replace actors." You can’t replace actors. We’ve created duplicates, clones, but they can’t act. They’re a computer, for God’s sake. If you think back to what was done in the Star Wars films, it unbridled people’s imaginations. That of course fueled the business at ILM because they were being approached more and more to keep raising the bar. Actors will not be replaced: worst case scenario, they’ll have to wear a lycra leotard! This page was last edited on 23 August 2018, at 16:47.